Diego Costa - Should he stay or should he go? Transfer speculation is always rife at this time of year and nowhere is that the case more than Chelsea. The player currently at the centre of attention is Diego Costa, with the Brazilian-born Spanish international who appears to have been less than content in SW6 for some time now. With his former employers at Atletico Madrid making little secret of their desire to resign their former favourite, the rumour mill has been in overdrive of late. 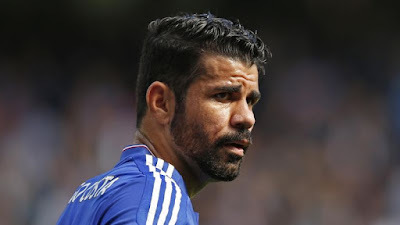 Costa was an immediate hit upon arriving in London, being a key player in the 2014-15 Premier League title campaign, particularly in the opening half of the season. Last season was, like that of most of his team mates, somewhat less successful, with a clearly frustrated Costa sometimes unable to channel his natural aggression in a positive manner. Recent speculation surrounding a Chelsea bid for Real Madrid’s Alvaro Morata kick-started doubts as to Costa’s future. Talk of the Blues being in the market for a top-class striker, coupled with the fact that Atleti have been publicly pursuing their former star only added to these doubts, with (incorrect) claims that Costa had even handed in a transfer request. During a recent news conference, Antonio Conte was fairly categorical that he wanted Costa to stay and saw his future at Stamford Bridge. That seemed to get the message across to the Rojiblancos too, with club president Enrique Cerezo saying, "Diego is a great player, who is very much loved, but he is a Chelsea player. Now that might just be a manager being realistic, but it could also indicate that he’s less than convinced as to where Costa’s loyalties lie. The question is why would Atletico be so persistent in the pursuit of Costa unless they have been given some indication that the player himself wanted to return to the Vicente Calderon? There are surely channels of communication between the two parties, so it would seem doubtful that the Spaniards would chase a player who was happy where he was? There is now renewed speculation as to a Stamford Bridge return for Romelu Lukaku. If there’s anything in that, then Costa is surely off, as that’s not a strike-pairing you could envisage Conte going with on any regular basis and neither player is going to be content being consigned to the bench. Could it be a home-coming for both players? There is no doubt that a fully focused Costa would be an invaluable asset to Chelsea next season, but if the club has any doubts as to his commitment to the cause, now is the time to sell and re-invest elsewhere. Ahead of the new Premier League season, make sure that you download the Betfred mobile app to access the best in betting on the go to make sure you never miss an opportunity to back the Blues.